Our Mosaic Management Professionals philosophy is dedicated to helping open and transition successful dental offices with as little stress to the doctor as can be managed, and with as much profitability as can be reached. We here at Mosaic pride ourselves in doing honest, diligent work for our doctors and helping them achieve their dental practice goals. Call us today at (303) 660-0605 to discuss which of our services would be right for you. From work as a dental hygienist to mastery of practice marketing and management over two decades, there’s not a nook or cranny of an office Anne doesn’t understand. Working that closely with a wide variety of doctors and staffers, she developed the knack for giving the most adverse of situations a positive twist. A dental practice consultant since 1998, Anne has a unique way of effecting positive change in any office atmosphere, and melding clinical and business strategies into a profitable and productive mix. While easily seeing the big picture, she has the knack for spotting the totally overlooked details that make all the difference. “I like to see beyond the next level,” Anne adds. “..Where do you want to be in five years? A lot of doctors don’t know, and I help them develop a plan.” Whole-mouth dentistry can present some daunting challenges in terms of locking in patient commitment. 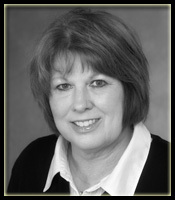 Anne specializes in helping doctors and staff craft case presentations that emphasize health over insurance concerns. Anne’s high-caliber standards, ability to target inefficiency and scope out solutions gives her clients the ammunition they need to aim high. What are the underlying causes that prevent your dental practice from achieving its full potential? Get direct answers with a free In Office Consultation with one of our expert dental consultants.